I hope everyone had a slammin' Valentine's day! Greg actually brought me flowers and gummi bears a week and a half ago for no reason at all and for valentine's day he gave me gummi candy shot glasses, haha (and of course a delicious meal, my favorite thing). He knows me so well!! 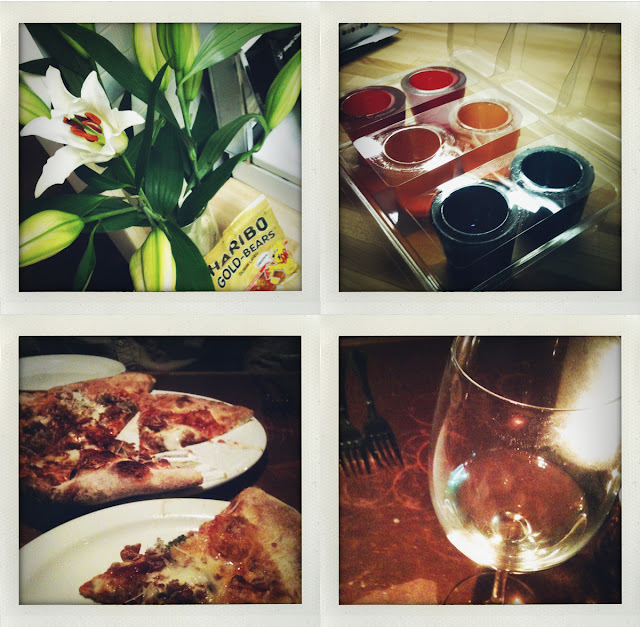 i miss pizza- love your pics!